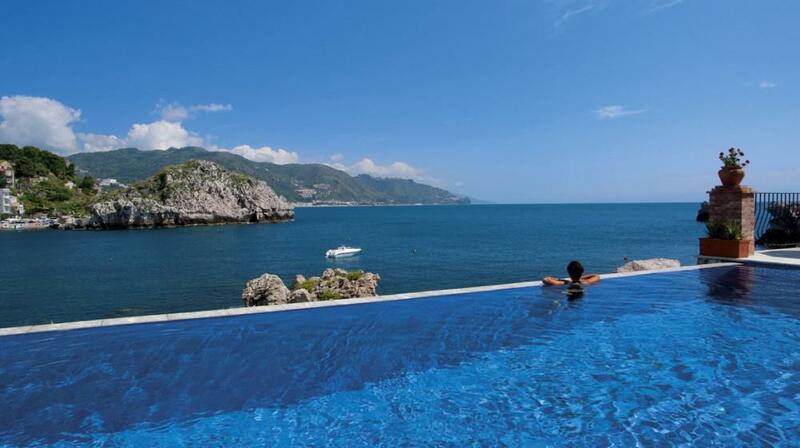 The splendid Villa Sant’Andrea was built in 1830 by an aristocratic British family and still retains all the charm of a private residence. 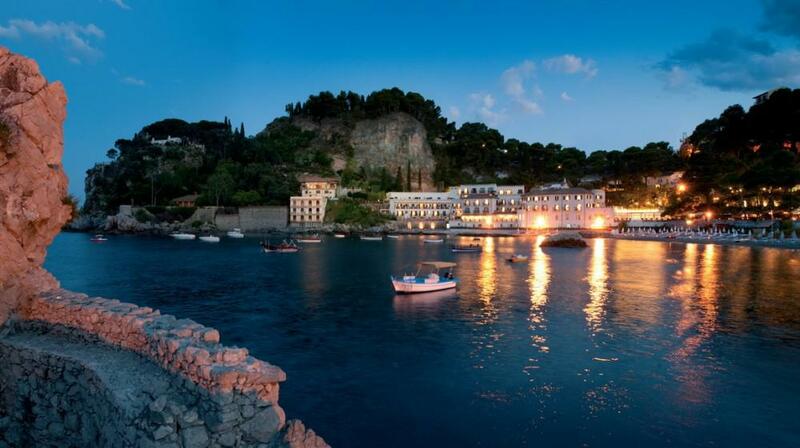 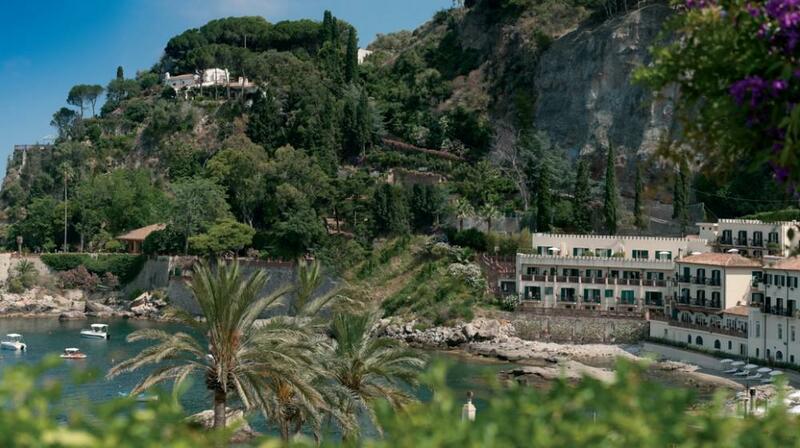 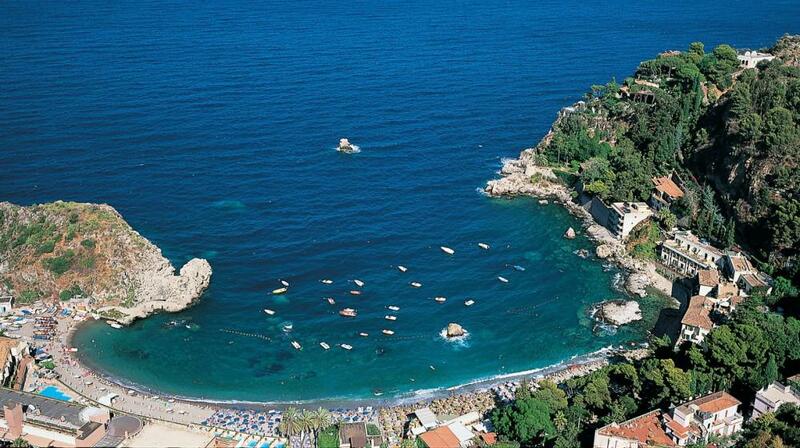 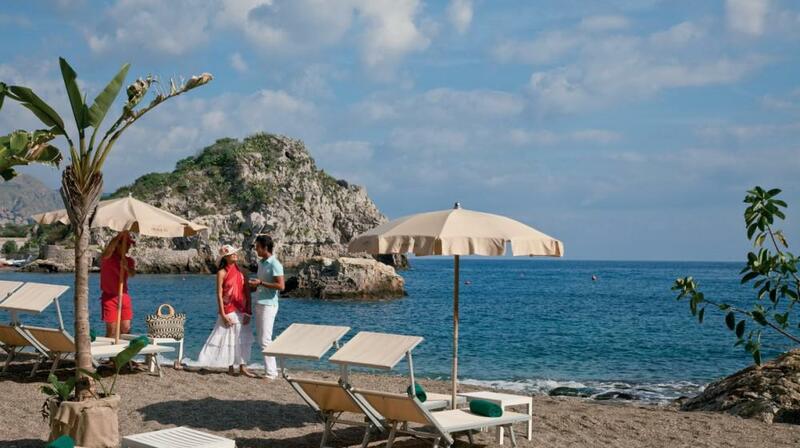 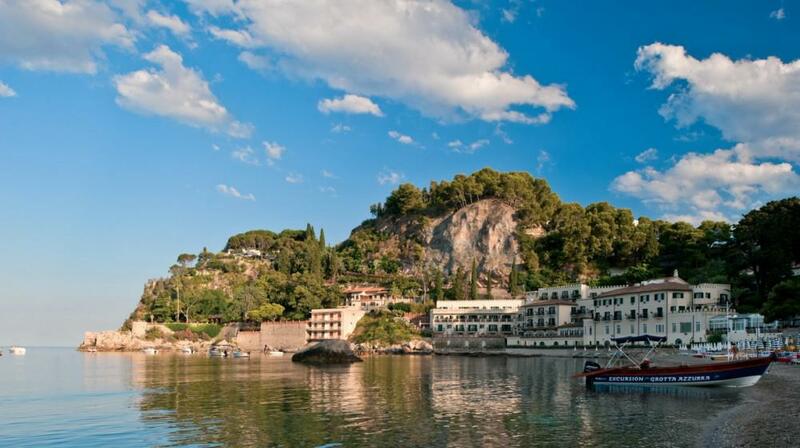 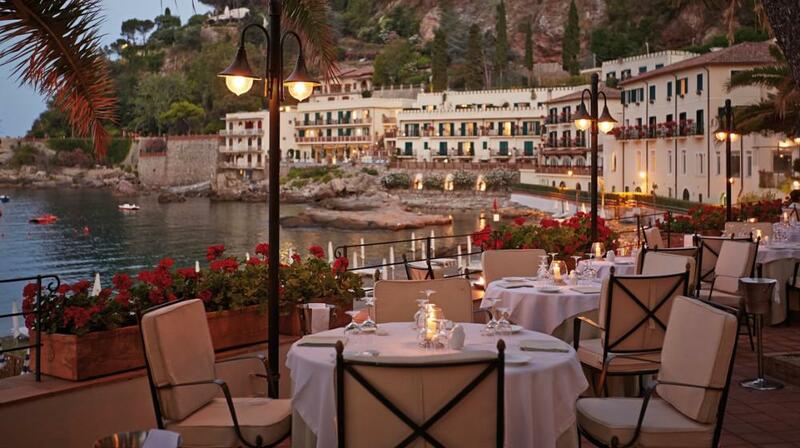 The hotel is surrounded by a magnificent park of sub-tropical vegetation and dominates, with its panoramic terraces and private beach, the Mazzarò Bay – a real paradise for sea lovers which is just a stone’s throw from the cableway which takes just 3 minutes to arrive in the centre of Taormina and to the ancient Greek Theatre. 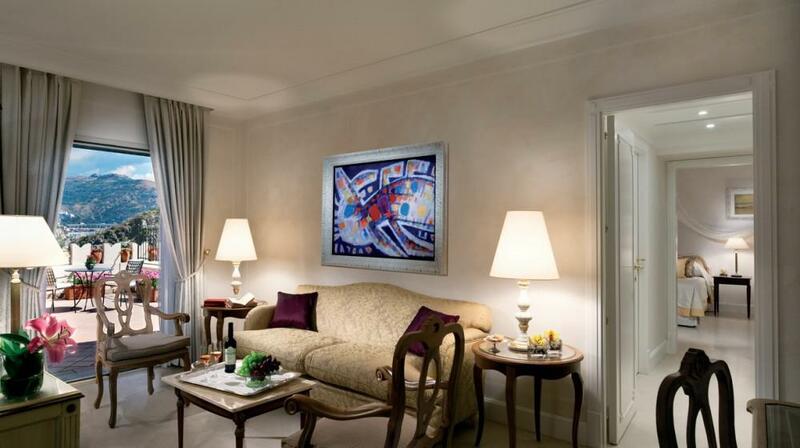 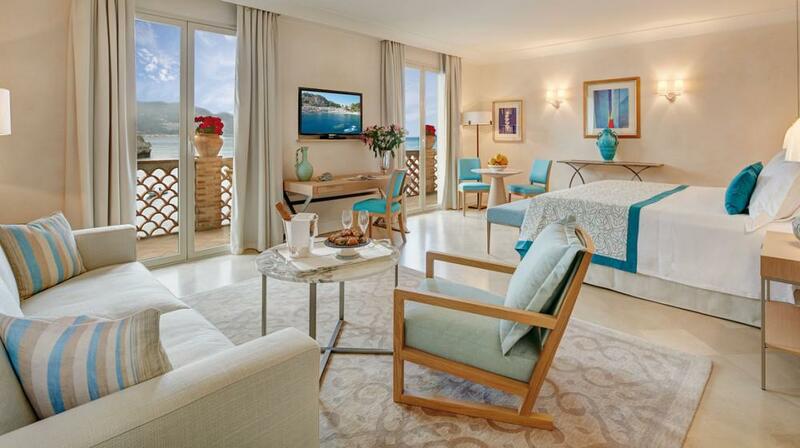 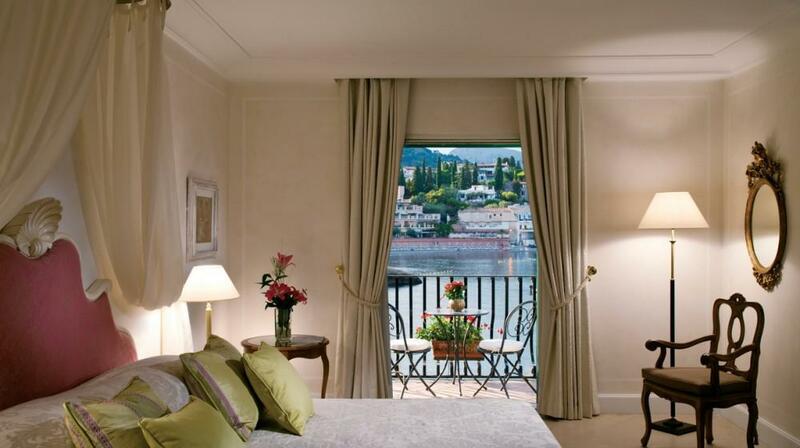 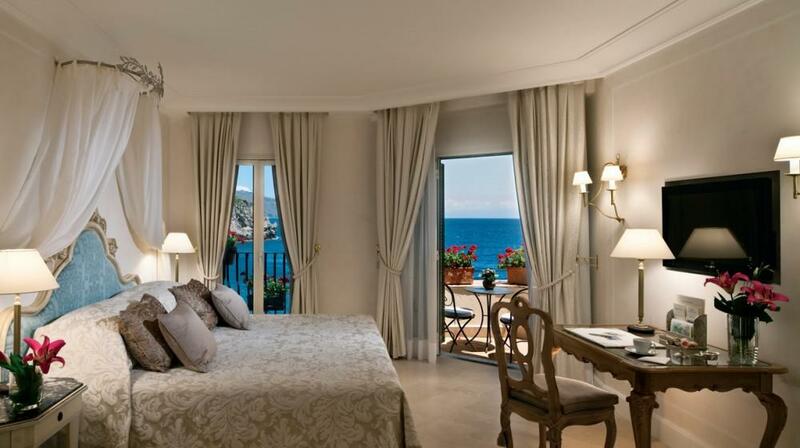 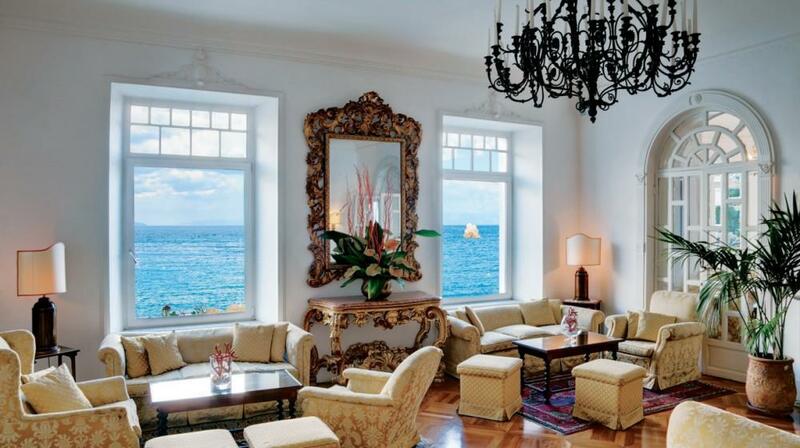 Each of the 60 rooms and suites is very light and elegant. 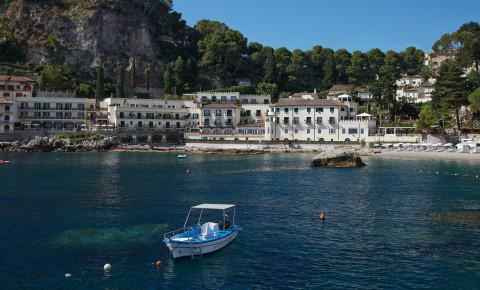 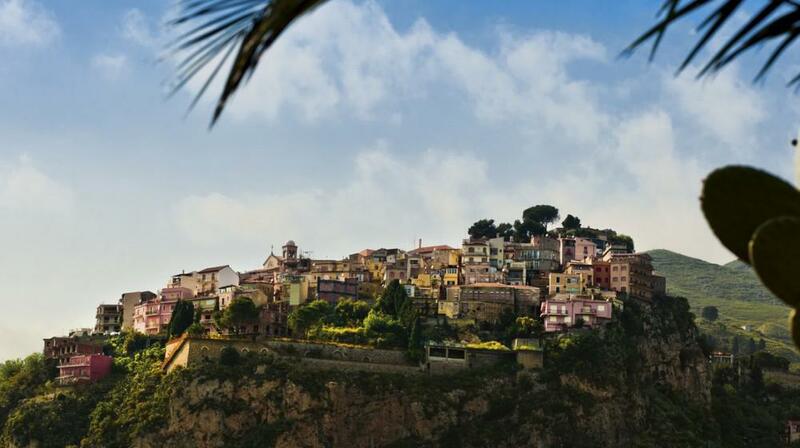 Most of them have balconies or spacious terraces and face the hotel’s private beach and the crystal clear waters of Mazzarò Bay. 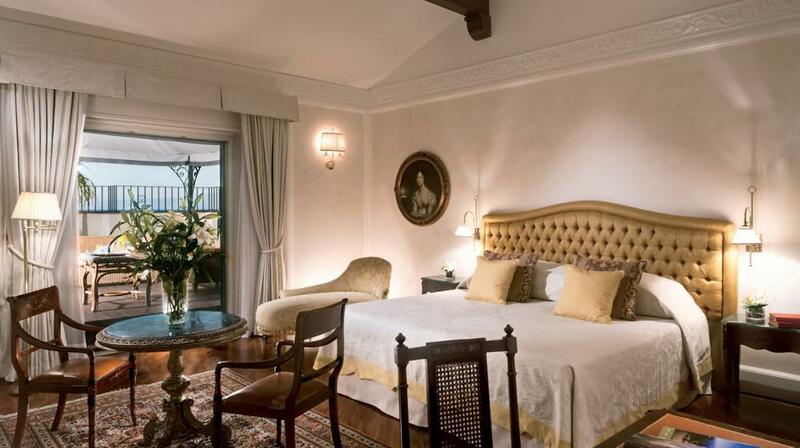 Among the fascinating suites, the most prestigious one is the Mazzarò Suite, which boasts a large terrace furnished with gazebo, sofa, armchairs and sun loungers. 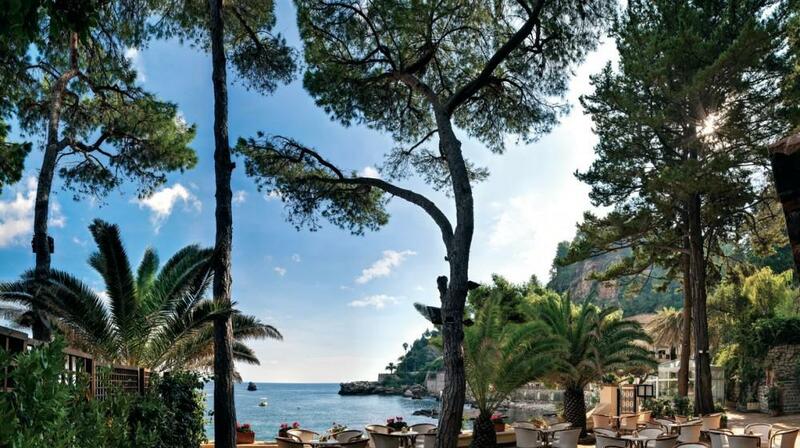 The Oliviero Restaurant has a refined menu of Mediterranean cuisine for the most demanding palates and attentive gourmets. 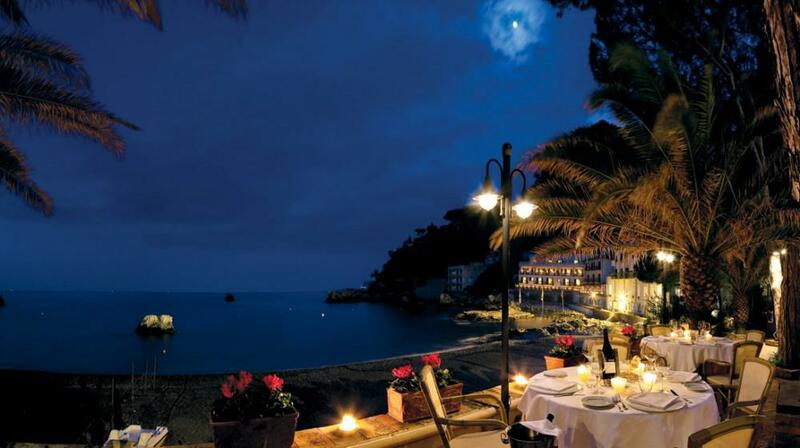 The terrace overlooking the sea is a dream-like environment for romantic candlelit dinners, and the Bar has a large choice of cocktails and after-dinner drinks, accompanied in the evenings by the soft notes of live music. 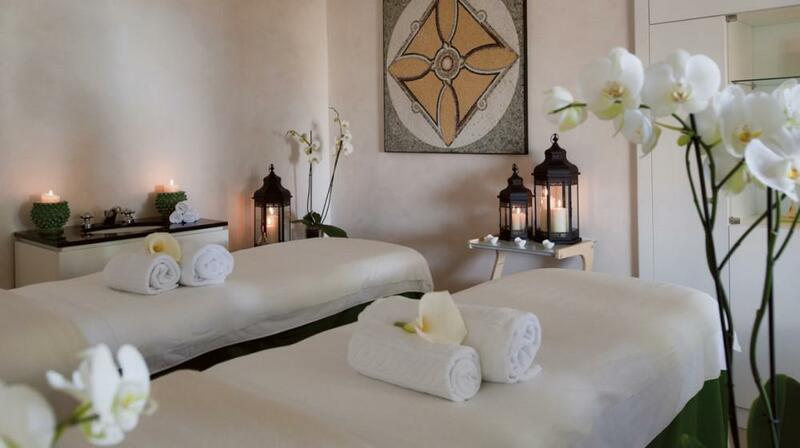 Hotel guests can also relax in the Wellness Centre, on the beach or by the pool. 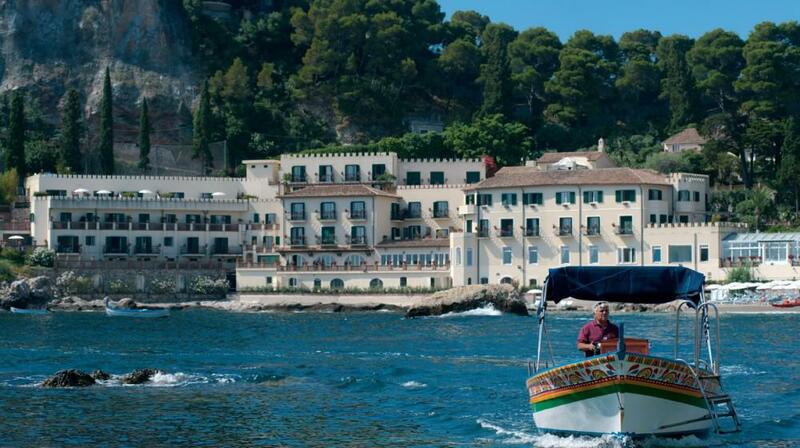 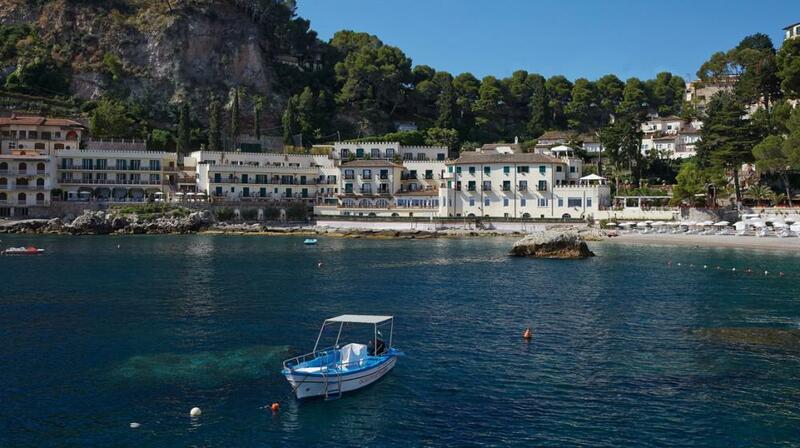 Moreover, everyday the hotel offers a complimentary boat excursion to explore the beauties of the coast. 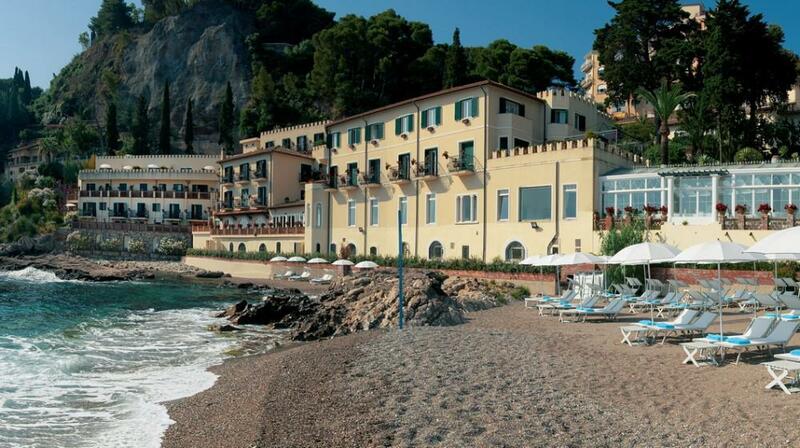 Children are welcome and can spend their time at the dedicated Kids Club, which offers many enticing activities. 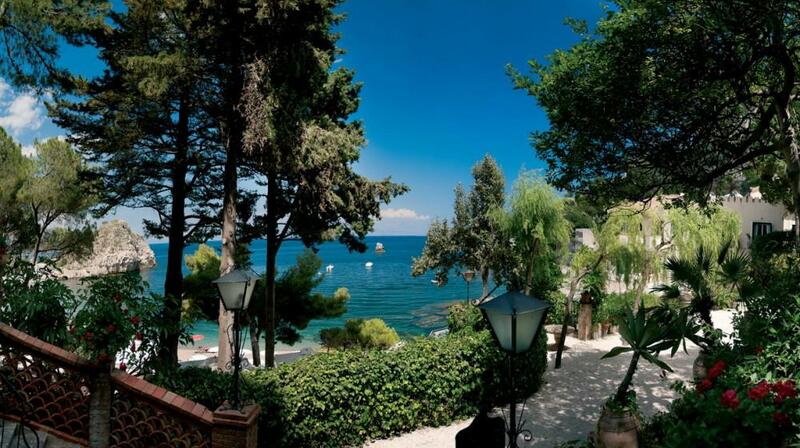 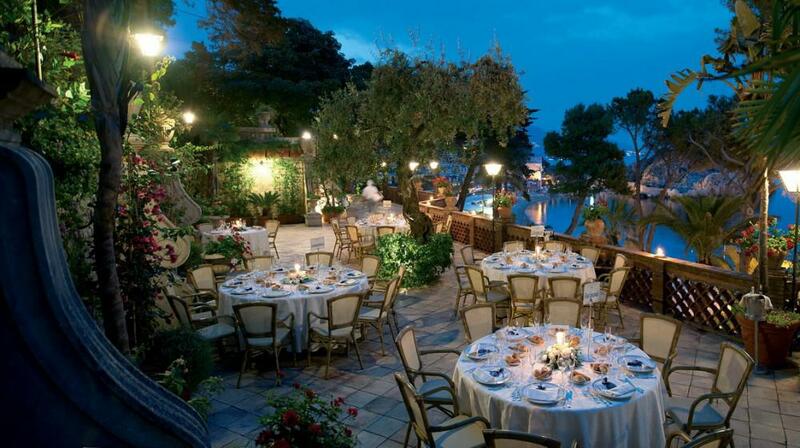 Guests at Villa Sant'Andrea can enjoy all the facilities at sister property Grand Hotel Timeo located in beside the Greek Theatre.